Director Gore Verbinski (Rango, Pirates of the Caribbean) attempts to resurrect a Western icon this week, with decidedly mixed results. Action-loving teens and children may be drawn in by promises of big stunts and explosive pyrotechnics. Others may also flock to theaters as fans of Johnny Depp. While there is much to enjoy here, there are also things that may give parents pause. (Note: If you're looking to purchase the complete original 1950's TV series and support this site, please click here). performances, its fine cinematography that captures breathtaking Utah landscapes (doubling for Texas), another great musical score by Hans Zimmer, and a finale that, admittedly, put a big dopey grin on my face. Armie Hammer (The Social Network) stars as a peace-loving district attorney who returns home to the West after a long hiatus in the big city. 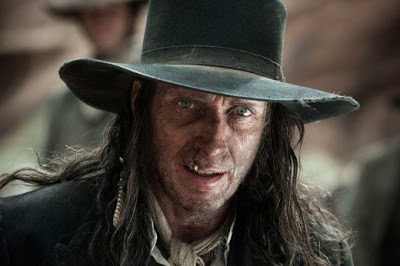 When the system of justice fails, corruption runs rampant, and war is imminent, he reluctantly assumes the role of outlaw vigilante with the assistance of a Comanche loner named Tonto (Johnnie Depp, who actually is part Native-American in real life so just back the heck up y'all!). Tom Wilkinson (Batman Begins), William Fichtner (Armageddon), Helena Bonham Carter (Les Miserables), Barry Pepper (Snitch), James Badge Dale (Iron Man 3, World War Z), and Ruth Wilson round out the cast. 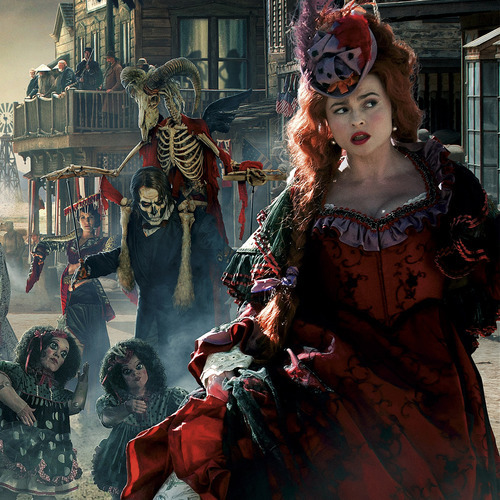 All of them give engaging and interesting performances, but Hammer and Depp own the film. 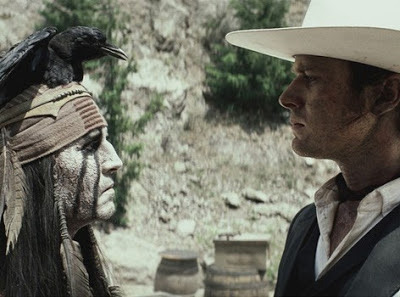 Contrary to the marketing, the latter does not overshadow the former, though Tonto has been promoted from the Lone Ranger's sidekick (in the original 1950's TV series) to his equal here. The two have good buddy chemistry and work well on screen together. As with his Pirates movies, Verbinski seems unable to trim the fat off of his film in the editing room. At two and a half hours, the film could have lost 15-20 minutes and been more exciting as a result. The story's framing device, set in 1933 San Francisco, could have been cut completely, for example. Also, the shifts in tone are jarring. At times the film is lighthearted and broadly comedic, in others it almost plays like a straight “realistic” Western with surprisingly harsh violence, and in others it's a lighthearted action romp with stunts that radically defy the laws of physics. 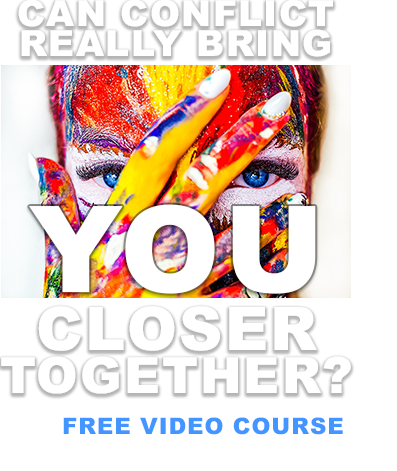 The film is all over the map; it's hard to take moments of tragedy seriously when the very next scene has moments of random mysticism or weird humor. What's more, the film seems to have an axe to grind with people of faith, who are seen as zealots, fanatics, hypocrites, and even downright villainous. I have no problem with acknowledging that those types of religious people exist, but there was no balance and it happened numerous times in the film without purpose. One exception (minor spoiler): a prayer offered by a villain asking for deliverance and justice is actually pretty cool, as the voice-over is juxtaposed with footage of the Lone Ranger and Tonto riding to bring exactly that. Still, the film is undeniably fun. Depp is rather brilliant here and Hammer more than holds his own. When the movie finally decides to ditch the gloomy despair and start kicking it old school, tapping into the innocent sense of fun and adventure that the character is known for, it's actually pretty awesome. 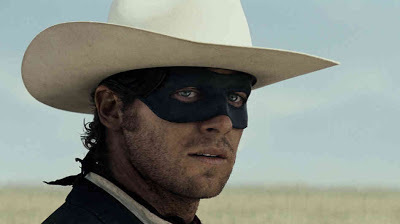 Though it's not one I'll purchase or revisit anytime soon, I'm not sorry to have seen The Lone Ranger. Western fans, Depp fans, or summer movie-goers looking to beat the heat could do worse than spending time with this dynamic duo. 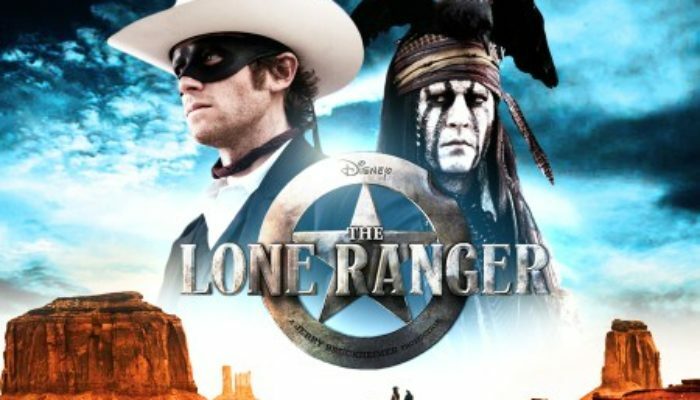 CONTENT OVERVIEW: The Lone Ranger is rated PG-13. It has some mild language. Several women are seen in cleavage-exposing dresses and there are several innuendos (including a joke about “violation”). A cross-dressing, effeminate henchman is meant to get laughs. Numerous people are shot with bullets and arrows, with some blood. A very disturbing scene (spoiler) has a villain cut out a man's heart and take bites from it; the audience doesn't see it happen, but it's obvious what is happening. Honestly, the moment seems very out of place in a film that carries the Disney logo. MESSAGES TO DISCUSS: When corruption causes the system of justice to collapse, good people have a duty to defend law and order (Alma 60:27-29). We lose integrity when we bury our mistakes instead of owning up to them (D&C 121:37). Greed leads to various evils and tragedies (1 Timothy 6:10).